Based on the fresh weight of the vegetable, garlic had the highest antioxidant activity against peroxyl radicals (19.4) followed by kale (17.7), spinach (12.6), Brussels sprouts, alfalfa sprouts, broccoli flowers, beets, red bell pepper, onion, corn, eggplant (9.8-3.9) cauliflower, potato, sweet potato, cabbage, leaf lettuce, string bean, carrot, yellow squash, iceberg lettuce, celery, and cucumber (3.8-0.5). 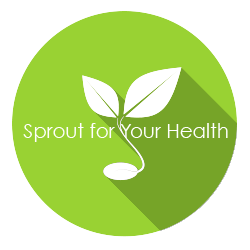 Kale had the highest antioxidant activity against hydroxyl radicals followed by Brussels sprouts, alfalfa sprouts, beets, spinach, broccoli flowers, and the others. Previously, some fruits were shown to contain high antioxidant activities. In this paper, we report the antioxidant activities of 22 common vegetables, one green tea and one black tea, measured using the automated oxygen radical absorbance capacity assay with three different reactive species: a peroxyl radical generator, a hydroxyl radical generator, and CU2+, a transition metal. The green and black teas had much higher antioxidant activities against peroxyl radicals than all these vegetables. However, the tea also showed a prooxidant activity in the presence of CU2+, which was not found with any of the vegetables studied.